This article describes how single-subject teachers contributed to a unit of inquiry and allowed the classroom teachers to recognize student’s conceptual understandings that they were previously unaware of. This article captures the progression of an inquiry as it unfolds among our grade 3 students at Branksome Hall Asia. The unit of inquiry that our three grade 3 classes explored falls under the transdisciplinary theme of Sharing the planet with the central idea: Effective communication can resolve conflict. The focus on this post will be on the important role that our single-subject teachers have played in this inquiry. During visual art class, the students were prompted to consider the last time, or worst time, they were involved in a conflict with friends or siblings. They were asked to think of this as a story with a beginning, middle and end. Beginning – what happened to give rise to a conflict situation? Middle – what happened during the communication process to try and solve the conflict situation? End – how was the conflict resolved and how did it move into peace? In small groups they then chose one story to represent in a drawing. 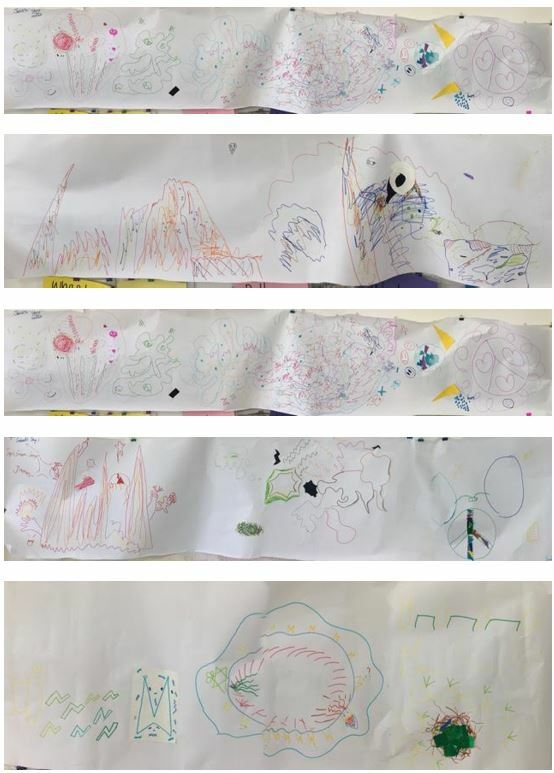 The students were given long sheets of paper and asked to think about the kinds of colours, shapes, lines, forms and patterns that would best describe what was happening in the three different parts of the conflict story. The drawings below show the conflict stories and their 3 parts; conflict, communication, resolution/peace. The next step was for the students to add emphasis and further structure to the drawings using collage shapes. They then transitioned over to our music teacher and considered similar concepts such as dynamics and rhythm that represent the ideas of conflict and peace. To synthesize everything, the students cut-out and re-arranged their designs as they composed an original score to reflect their stories. Conflict starts out as a range of different opinions and ideas all jostling for the front position. Sometimes it’s messier than what it started out like before it gets better. There’s usually a breakout moment that occurs prior to the solution. When you get to a stage of finding common ground it is like the pieces fit together. Peace and love may not always be the outcome – sometime we try to cover up a conflict with a resolution. These are all big ideas that are worthy of inquiry into peace and conflict at any age. Teachers must be open to providing multiple pathways for their students to express their understandings. It is highly unlikely that the students at our school would have been able to articulate these ideas in written form alone. Yes, the teachers helped to tease out the verbal responses from the students (with translation required for some), but that is their role – to listen, not to tell. The point is that the responses were constructed by the students themselves and may not have occurred without this opportunity. The other beautiful thing about this connection to the unit of inquiry is that it was completely unplanned in terms of collaboration between the homeroom teachers and specialists. The idea started as a conversation between our music and visual art teachers and they thought they would give it a try. There was no pressure to ensure that they fit in with what was happening in class* so there was freedom to test out different approaches. When the connections began to appear as significant and highly relevant for the learning that was also happening in the classroom, a lot of discussion between all teachers followed. Although making a strong connection with the unit of inquiry may not have been the first priority for music and art, creating an authentic learning experience certainly was. This idea grew because of the teachers’ commitment to genuine learning, and the lens of the unit of inquiry provided this without being forced. * To clarify this, at this stage in our school’s PYP journey we ask that subject specialists meaningfully collaborate on at least one unit of inquiry with each grade throughout the year. They can certainly contribute to more than that, but one is the minimum requirement. Dave is currently the Deputy Head of Junior School and PYP Coordinator at Branksome Hall Asia, Jeju, South Korea. 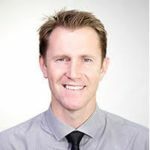 As an active workshop leader, site visitor and consultant for the IB, he is inspired by the innovative work he witnesses in the PYP community. You can follow him on Twitter @DaveSecomb and read his blog articles at www.davesecomb.com. Definitely we must provide students multiple choices to express what they conceptualise. Open ended approaches also provide students to explore using lateral ways.